For many years string inverters were the only way to go. These inverters are very efficient, and the lowest cost option overall. If you have a solar system with 30 panels, they would feed into the inverter in 3 strings of 10. This makes for an easier install, as you are just plugging panel into panel without any additional parts coming into play. 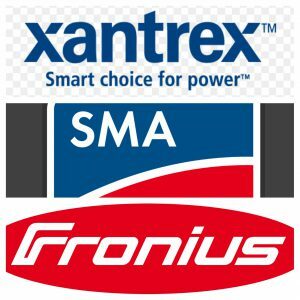 The most common manufacturers of string inverters include SMA, Fronius, Solis, Xantrex. Issues with basic string inverters. One of the main issues with string inverters deals with panel monitoring. Because all the panels in a string are chained together, we can only tell the output of the string as a whole. This means if a panel has an issue 15-20-25 years down the road, we will only know which string is under-producing, rather than exactly which panel has the issue. Someone would then need to access the entire string, while plugging in each panel separately to find the issue. Another problem arising from chaining panels directly together in a string deals with residual production/shade issues affecting the entire string’s production. In other words, the inverter will invert the average amount of energy produced in each panel throughout the string. So if one panel in a string is shaded, or if one panel has an issue down the road, every single panel in that string will have lower production as well. Finally, they only come with a 10, or 12 year warranty. This is only half of the guaranteed life of the panels. You will certainly have to come out of pocket for a new inverter 12-15 years down the road. While the lower upfront cost can sometimes justify the shorter warranty, many people want a hassle-free system that shouldn’t need to be touched for 25 years. In the past 10 years microinverters really jumped on the scene and became the most commonly installed systems in many parts of the country. Here you have a mini inverter on the back of each solar panel. This allows you to monitor each panels production, rather than just the strings as a whole. It also eliminates the residual shading/production issues because an inverter at each panel means one panel will have no effect on the next. If a problem were to arise down the road you would immediately know the exact panel having an issue, and this panel would have no further effect on the systems production. 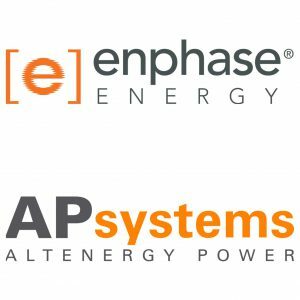 The most Common microinverter manufacturers include Enphase, AP Systems, and Darfon. It adds an extra part when installing each panel, slowing the process down a bit. Slightly less efficient than string inverters while being significantly more in cost. Microinverters solve the main issues with string inverters, and many large companies that install all across the country lead with this option. Having said that, we stay away from them in this region because of our hot summers. These microinverters have an electrolytic capacitor used to temporarily store the energy while it is inverted. The problem is that when the roof is above 98% the efficiency begins to drop because the electrolytic capacitor begins to swell. During a hot summer we are not surprised to see these burst occasionally, causing a headache down the road. You will typically only find microinverters with a 12-15 year warranty, and with the our hot summer issues are likely to arise eventually. 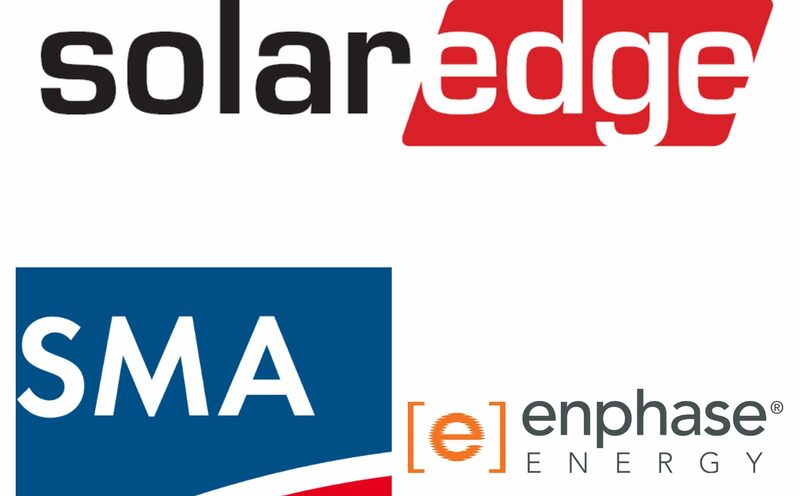 Over the past 5 years a company by the name of Solar Edge has really revolutionized the solar inverter market. This company made it possible to combine the best aspects of string inverters and microinverters, while extending the products lifespan as well. Solar Edge uses power optimizers on each panel rather than microinverters. This piece of equipment optimizes each panels DC current, while inverting the separate inputs individually at a central string inverter. The power optimizers give the benefits of a microinverter by allowing for panel by panel monitoring and ensuring one panels production will not affect the next. The main difference between these two pieces of equipment lies in the type of capacitor used. Power Optimizers have a ceramic capacitor which handles heat much better than the electrolytic capacitors inside microinverters. Because of this, Power optimizers and the Solar Edge inverter all come with a 25 year product warranty. While Solar Edge and microinverters are very comparable in price, paying slightly more for a Solar Edge Optimized system, the benefits of going with power optimizers are well worth it. 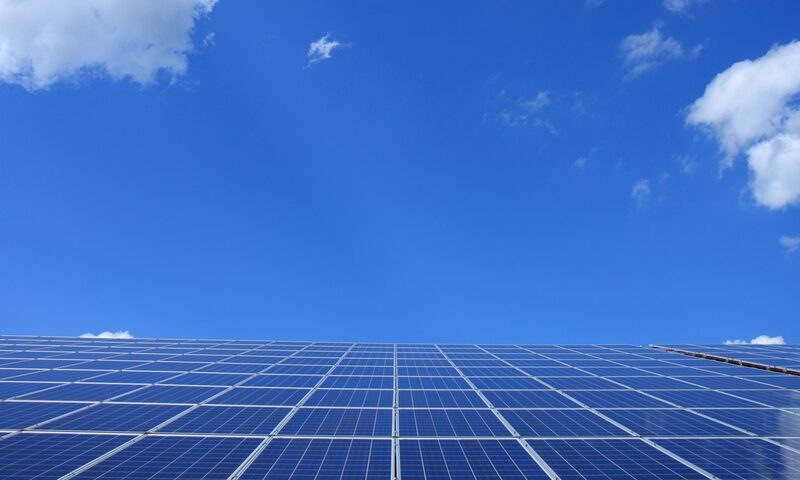 The only drawbacks dealing with Solar Edge are a slightly increased install time, and cost depending on number of panels, but with all things considered it will be the best choice 9 out of 10 times. Occasionally we will find jobs where compromising on quality for cost, and going with a string inverter over power optimizers, can make the most sense. Many times this decision comes down to ease of access. If you are installing 30 panels on the roof, and you expect the system to operate hassle-free for 25+ year, then you definitely want to pay the premium for Solar Edge. In the future if a problem did arise, we would immediately know where the issue is and wouldn’t have to spend a ton of time troubleshooting on the roof. Ground mounts on the other hand are much easier to access, so trouble shooting a string to find an issue down the road would be very simple. Additionally, We would not be installing a ground mount in a shaded area at all, so we wouldn’t be concerned with residual shading issues. Another factor that plays into the decision to compromise is the number of panels being installed. For a Solar Edge system we have to purchase a power optimizer for every single panel as well as the inverter. As the panel count increases, the costs gap between your two options increases as well. When you put these two factors together, for a large system that is a ground mount, it will make sense to seriously consider dropping a bit in quality and installing a basic inverter. By not having to buy a power optimizer for every panel, the upfront savings can be large enough to justify possible expenses down the road. In the end, if you aren’t looking at installing a large ground mount, Pure Power Solar is going to advise installing a Solar Edge power optimized system. I am confident we can install the premium Solar Edge system, while keeping the prices the same or less than my competitors selling string inverters.